Federal lawsuit says local SEIU violated U.S. Supreme Court ruling in union dues case. A conservative think tank is suing two Oregon labor unions, saying they are collecting union dues in violation of a U.S. Supreme Court decision last June. The class-action lawsuit, Anderson et al. v. SEIU et al, was filed Wednesday, Nov. 21, in Portland's U.S. District Court. No court date has been set for the case. A federal just must certify the lawsuit as a class action. In June, the Supreme ruled in Janus v. AFSCME that forcing all employees to pay dues and fees when they aren't union members under "fair share" provisions violated the First Amendment. The decision was considered by some to be a strong blow for organized labor. But in Oregon, where unions have deep roots, the effect has been minimal. Some union leaders reported an increase in membership. 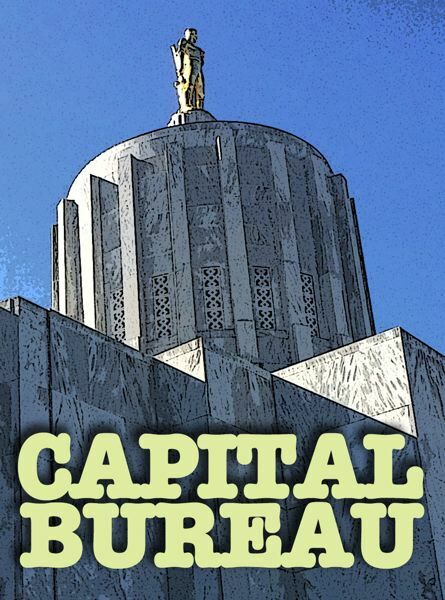 In the months since, thousands of workers in Oregon have asked to withdraw from the unions, according to Aaron Withe, Oregon director of Freedom Foundation, which filed the case this week. About one-fourth was told they could withdraw from their unions, but would have to pay dues through an extended date set by the labor contract. According to the lawsuit, most have about another year to pay. Freedom Foundation is contesting that extended assessment. Withe said that since they signed the agreement without knowing about the Janus decision, those agreements aren't valid. Freedom Foundation sued on behalf of 10 plaintiffs, but claimed in the filing there are there are hundreds more. Plaintiffs who were assessed by Service Employees International Union Local 503 include Loriann Anderson, an employee of Western Oregon University; Rene Layton, an employee of the Wallowa County district attorney's office; Dennis Richey, an employee for Jackson County; and Melinda Wiltse, who works for Marion County. Plaintiffs represented by American Federation of State, County and Municipal Employees Council 75 are Kerrin Fiscus, employed by the Oregon Board of Parole; Kenneth Hill, employed by the Oregon Military Department; Michael Miller, employed by the Oregon Department of Corrections; Bernard Perkins, who works for Lane County; Kathie Simmons, employed by the city of Portland and Kent Wiles, who works for NorthWest Senior and Disability Services. The suit names the two unions, the employers and Katy Coba, the director of the Oregon Department of Administrative Services, as defendants. Both unions declined to comment, as did the Oregon Department of Administrative Services. Withe said the Freedom Foundation found the plaintiffs by helping workers opt out of their unions, and offering legal services to those still told they had to pay dues. Peter Starzynski, executive director of the Northwest Accountability Project, said filing the lawsuit the day before Thanksgiving when people are less likely to be at work was purposeful. The Northwest Accountability Project is a pro-union organization aimed at shedding light on right-wing organizations. "Their litigation tactics are as political as anything else they do," he said. The accountability group has long dealt with the Freedom Foundation, Starzynski said. "The Freedom Foundation is a political organization that is trying to destroy unions in the northwest on behalf of their out-of-state billionaire funders," Starzynski said. "Part of their strategy is to file frivolous lawsuits to try to waste unions' time and money." But Withe said this isn't about destroying unions, it's about exposing union tactics. "I think this is just a money-making scheme by the unions," he said. While the lawsuit only has 10 members, Withe said the Freedom Foundation has helped 6,500 Oregonians opt out of their union.